As much as we’d like to try, it’s hard to turn away from what’s happening south of the border. It’s even harder not to see the US’s cultural divisions and ask ourselves, “Could it happen here?” It can. It does. Indeed, it has. Let’s take the example of the First Nations’ potlatch system: A system of governance dating back to time immemorial. The very foundation of our local Aboriginal cultures’ organization, identity, and sense of self. The thing that unites. It was as sacred an institution to our Indigenous cultures as democracy is to the US. The potlatch was declared anti-Christian and banned from 1884 to 1951. For 67 years, ending just over a half century ago, First Nations were prohibited from organizing themselves, communing with one another, and practising this sacred ritual. Similarly, the US leadership appears to dismantle the system of democracy that so many Americans hold dear. It’s what unites the states, despite differing voting preferences, worldviews and cultures. It’s the country’s most sacred of institutions. What is achieved through this dismantling is division and separation, as context is removed: everything we’re watching on the news right now is out of context. It’s being broken down into little bits, thereby creating a new reality to suit an agenda. Once it’s been broken down, you can put it back together in any way that suits you. If you think Canada’s politics of division are behind us, think again. Anthropologists study culture holistically. We look at intangibles, identifying them and managing for those aspects of culture, people and community. It’s the only way to create and maintain a complete, cohesive whole. 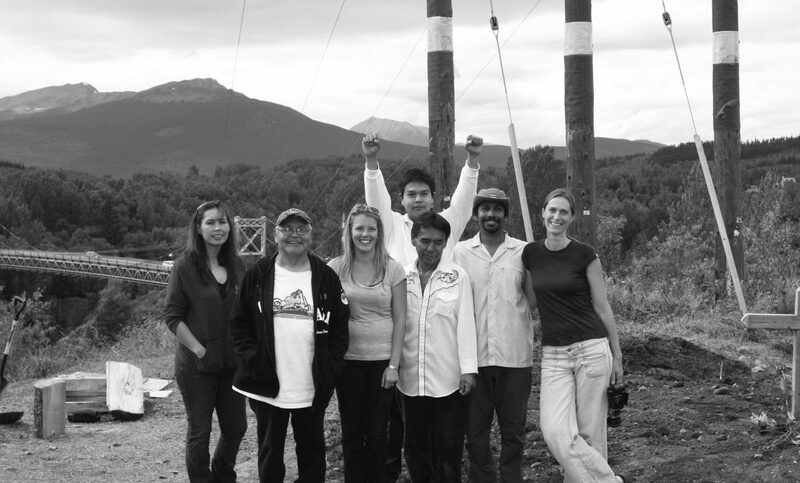 An anthropologist becomes a filter to mediate culturally meaningful dialogue between industrial proponents, government or academia with either the local First Nation or the entire community. But while examining the whole, we also recognize its parts: the individuals, the differing perspectives, the varying cultures within a culture. Ethnocentrism is to view the world exclusively through the lens of one’s own culture. In anthropology, we strive find common ground with all cultures. This is why, in today’s society, there is a heightened need for anthropologists. Polarizing our positions, breaking down context, is devolution. If we can’t debate the space between different positions, we can’t evolve. That is prevalent today on a global scale. We’ve devolved to these polar positions: us versus them, black versus white, Muslim versus Christian. It’s not getting us anywhere. That doesn’t mean political upheaval is always bad. It leads to change, which leads to renewal. And I think, through this rebuilding process, we could come out better, if we’re proactive rather than reactive, acknowledging that we have rebuilding to do. As we see American society unravel before us, now is a good time for anthropologists to think about the rebuilding process: cultural rebuilding.